Direct mail is a form of advertising which, when done correctly, is a highly cost-effective way of gaining new business or servicing the customers that you already have. 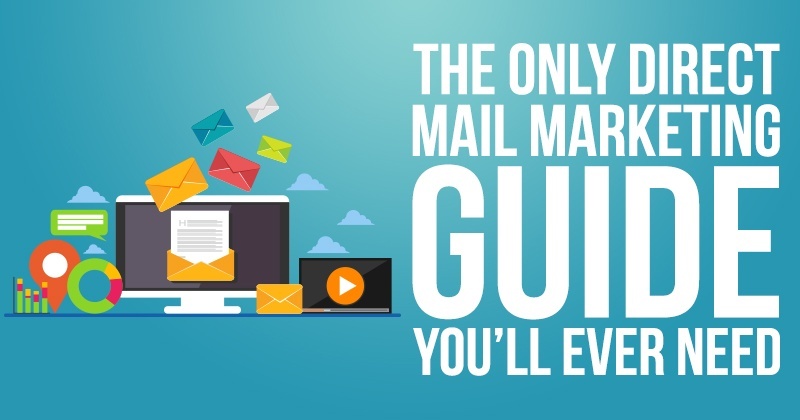 This direct mail advice guide explains the basics of direct mail. Direct mail has many applications. Use it as a selling tool, to find and convert sales prospects, to distribute price lists, samples or newsletters and to encourage repeat business from existing customers. It is easy to measure the effectiveness of direct mail and many very highly successful businesses have been built upon it. The secret is to get the very best ROI (return on your investment). At its best, direct mail is a highly targeted mailing piece, posted only to the correct address of people who are receptive to buying your product or service. If however, your offer is sent to the wrong group of people, or to an incomplete or incorrect address, it is then just junk mail. A waste of your time and advertising budget. The best direct mail should be welcomed by the recipient. An example of junk mail would be if a company sent a nicely produced, glossy leaflet on their range of UPVC conservatories – to someone who lives in a multi-story flat! Your mailing is only as good as the address that it is sent to, so make sure that you use a good mailing list. If you send a fishing tackle brochure to a keen fisherman, he or she will be delighted to receive it. If you send the same brochure to a golfing enthusiast, it may go straight in the bin. Identify your prospects before sending a mailing. Mailing to people who have recently moved house and are ‘gone away’, to those who hate receiving direct mail, to those whose address is incomplete or incorrect or to those who have no interest in your product or service is also a waste of your marketing budget. Your existing database will quickly go out of date. People move house, Royal Mail changes post codes, original keying errors may be present and some people will have registered with the Mailing Preference Service. It is essential that your existing database is professionally cleaned before you undertake any mailing. There is a large fine for mailing to people who have registered with the Mailing Preference Service and the extra costs of sending mailings to undeliverable or unwanted addresses far outweighs the cost of cleaning your data. Also, take care when you take down details. If your prospect’s name is mis-spelt, they are unlikely to order from you. More accurately, renting a mailing list. You buy permission to mail to an existing list, that someone else has compiled and cleaned, one or more times. These names can be highly targeted, so that you are not wasting money by mailing to people who will not be interested in your product or service. Once the prospect replies to you directly, you can legitimately add their name and address to your own mailing list and contact them again in the future. In this way, you will build up your own database of customers and prospects, which will build the core of your business. Always ask for advice before hiring a mailing list. A covering letter, which may be personally addressed to the recipient. A leaflet, catalogue, price list or brochure. Most successful mailings incorporate some kind of time sensitive offer, which encourages a rapid response. Without this, most people will put off replying to your offer – sometimes for ever! Write a short and to the point letter. You have to gain your prospect’s attention immediately. Don’t waffle. Use a headline stating the facts. Put your best offer first – in the headline. Use the word “You”. Try not to use “we”, “our” or “us”. Sell the benefits of buying your product or service, not its features. Use bullet points to make the benefits stand out. End your letter with a “call to action”. “Return the order form today”, “ring me now”, “Fax your order today”. Tell your prospect what they should do now. Use a P.S. People often read just the headline and the P.S. Read the letter aloud. If it sounds pompous or stilted, write it again. Do not be afraid to use incorrect grammer. You can start sentences with”And” if you wish. Use words like “Let’s”, “Don’t” “Can’t” “Shouldn’t”. They make your letter seem friendly. Aim to be a pal, one who is doing them a favour. Use a well-established established mailing house such as CPM to handle your mailings. The savings that they can offer on postal discounts, data cleaning and efficient timing will far outweigh what you pay them. Devote your time to your business, not to licking envelopes. If you want to expand your business, or even just stay afloat in todays increasingly competitive world, can you afford not to use direct mail? The standard method of measuring the cost of a direct mail campaign is to work out the actual (or estimated) cost per response. To do this, you add up all the costs of your mailing campaign, the printing, the mailing list, the enclosing and the postage. You then divide this figure by the number of replies. This gives you the cost of each response. What will each sale cost me? This may be the cost per response, the cost per enquiry, the cost per lead or the cost per sale or it may include other factors, such as further mailings, sending samples, telephone follow up etc. This figure tells you how much it cost to get each sale. Only you can decide how much is acceptable. If your new customer goes on to spend £10,000 per year, then a cost per conversion of £100 is very good value. If they only spend £100, then this would be much too high and £10 would be more reasonable. Points to remember about direct mail. Direct mail is especially effective for targeting specific types of customer. Newspaper and magazine advertising is very expensive, because you are paying per reader, not per prospect. The vast majority of the readership has no interest on your product or service. Direct mail is cost effective and the effectiveness is easy to measure. Some people loath direct mail and would never respond to your offer – however good. It is essential that you remove these people from your database when you identify them. Your name and address data must be cleaned to a high standard before mailing, to avoid expensive undeliverable mail. Your mailing must look professional. Don’t send grubby photocopies in brown envelopes, with a crude label stuck on. These mailing go straight in the bin. Get advice. Plan your mailing to fit your budget before you start. 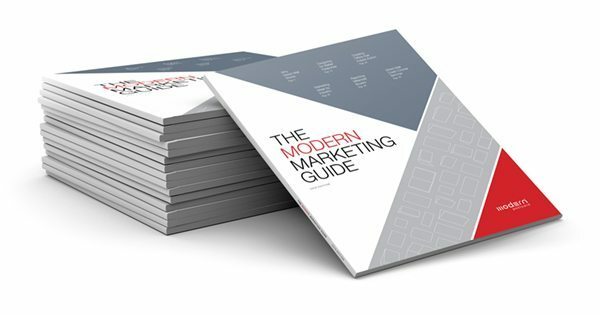 You can use mailshots to sell directly. This is difficult to do from a newspaper or magazine as you have to be registered with “MOPS”. Two stage advertising can also be very expensive. Keep in touch with your customers on a regular basis. Dont just sell and forget. Customers are three times more likely to buy from you than cold prospects are. Use “cross selling” and “up selling”. Think what else an existing customer may wish to buy from you and tell them about it! Reward loyalty. Keep in touch with your customers. Send seasonal offers, a Christmas card, a birthday card or a free gift on a regular basis. Direct mail can be a wonderful way of building your business – if it is done properly. CPM can guide you every step of the way. A small publishing company in the south of England came to us a few years back. They were sending out around 5000 black and white price lists from the kitchen table. By careful promotional and by sending regular mailings to their customer base, they became the largest company in their field, send out over three million mailing pieces per annum. The company ended up worth millions of pounds, yet was built up by the careful use of direct mail. They plowed back their profits into expanding the company, using mailings as the primary source of sales, rather than flashy premises or high street locations. This is the power of direct mail. Thank you for reading this article, which, hopefully has proved useful to you. If you would like further advice on any specific aspect of leaflet production or direct mail, please feel free to message us. Please feel free to reproduce this article elsewhere if you wish, as long as all links remain intact. I have been working with the team for a number of years now and have always find them to provide an incredibly helpful, as well as professional, service. They always manage to assist with our varied requests and turn projects around in a timely fashion to meet our sometimes, fairly tight timescales. Skyrocket Your Business is a Wolverhampton and West Midlands resource for UK Direct Mail Company services that specialise in Design, Print, Direct Mail Fulfillment and Bulk Mailing at great prices.